Andrea Muñoz-Garcia is a Consultant at the NNFCC working on the BBI JU funded project, Pilots4U. The aim of the project is to set up an accessible network of open access pilot demonstration infrastructures for the European bioeconomy. Andrea has recently finished a PhD in Green Chemistry where she focused on the recovery of precious metals from waste sources using bio-based adsorbents. She also studied the preparation and utilisation of bio-based materials for energy storage devices. 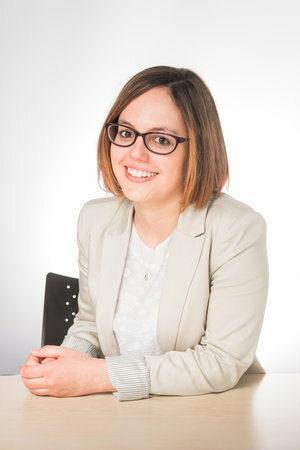 During her PhD, she worked for WasteValor, a project partially funded by the European Regional Development Fund, which offered free, short-term advice about waste valorisation to SMEs based in the region of Yorkshire. Andrea also completed the MSc in Green Chemistry & Sustainable Industrial Technology at the University of York as part of an international exchange programme during the final year of her BSc in Chemistry, which she coursed at the Universidad de Zaragoza, Spain. Andrea is key contributor in the 2-year project Pilot4U funded by BBI JU, which aim to create am accessible network and database of open-access pilot and demonstration facilities for the European bioeconomy. NNFCC has led the design and implementation of an online survey to understand the needs of bio-based industries regarding pilot and demonstration equipment. NNFCC will subsequently analyse the strengths, weaknesses and opportunities for the European pilot and demonstration park and will develop business cases to address the gaps in provision found during the analysis. Muñoz García, Andrea, et al. "Monolithic mesoporous graphitic composites as super capacitors: from Starbons to Starenes®." Journal of Materials Chemistry A (2018). Muñoz García, Andrea, et al. "Starch-derived carbonaceous mesoporous materials (Starbon®) for the selective adsorption and recovery of critical metals." Green Chemistry 17.4 (2015): 2146-2149. Harumain, Zakuan AS, et al. "Toward Financially Viable Phytoextraction and Production of Plant-Based Palladium Catalysts." Environmental science & technology 51.5 (2017): 2992-3000. Dodson, Jennifer R., et al. "Bio-derived materials as a green route for precious & critical metal recovery and re-use." Green Chemistry 17.4 (2015): 1951-1965. Hunt, Andrew J., et al. "Phytoextraction as a tool for green chemistry." Green Processing and Synthesis 3.1 (2014): 3-22.